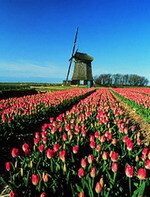 Tulips, windmills and wooden shoes might still be a draw to this Dutch region for some travelers; however, Holland is a far more versatile locale with an international and maritime history extending farther back than most of the rest of Europe, including the establishment of New Amsterdam as a major trading city, which became New York when the British took over. Holland, particularly Amsterdam, is also well known for its diamond manufacturing and polishing industry. If that tickles your fancy, make sure to visit the Amsterdam Diamond Center located in the center of the city. 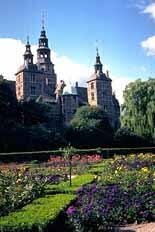 Before you continue with this informative guide to Holland, make note that although the name "Holland" is used commonly in everyday language, the country is strictly called The Netherlands and internationally recognized as such. Red Lights and Rembrandt Besides being the capital city, Amsterdam has enough to offer to fill your entire vacation. The unavoidable multiculturalism has brought Amsterdam to the forefront of controversial equality and human rights issues. Muslims, Jews, Dutch and Surinamese all have a very active role in the life and politics of the city. The Anne Frank House is an extremely popular sight with a new exhibit at the end that discusses the modern day conflict between freedom of speech and respect for cultural and religious diversity. Amsterdam is also home to the Van Gogh Museum and the newly restored Rembrandt Museum. The Dutch acquired an extensive collection of colonies during the 18th and 19th centuries, one of which was Suriname, located on the northern coast of South America. Suriname finally gained its independence in 1975 and through an education exchange program the Surinamese population remains predominant in Amsterdam. The cultural flair adds richness to the city in the form of contemporary music, art and exquisite cuisine. Make sure to dine in a Surinamese restaurant at least once! Amsterdam is also notorious for its Red Light District and Coffee Shops. Stroll through the winding streets at night for an incredibly diverse experience and stop at one of the bustling pubs for delicious locally brewed beer. Also, many visitors enjoy seeing the city from the water. There are boat tours offered on an hourly schedule during the summer months that take you through the picturesque canals and past charming old façades. Timeless and Traditional Even though Amsterdam is a modern hub in the globalized world, there is still an incredible amount of tradition and history prevalent throughout The Netherlands. Visit the nearby town of Alkmaar in the summer to take part in the centuries-old cheese market and festival. Locals don traditional dress and haul giant rounds of cheese through the town square for weighing. After your fill of diary, wander through this seaside town's canals and shops. Travel through central Holland to the medieval town of Utrecht, established around 47 AD. The 14th century wharves, cathedrals and Roman architecture are sure to transport any traveler to another place in time. For international travelers, Holland exists in a class of its own. Whether you enjoy the bustling urban experience or the intimate countryside adventure, you will find what you are looking for in Holland.